The only weapon of defense authorized to protect an individual’s property and assets is a fog generator, as the method is passive not violent. Ever increasing numbers of private and commercial buildings are equipped with an alarm system. The purpose of this installation is to detect and report a possible burglary. On-site notification is typically done via the use of flashing lights and loud bells or sirens, whilst notification to a monitoring centre or Police Control Room is typically done via phone or GSM lines. In practice, although the notifications are instant, attendance by the appropriate authorities (Police, Guards etc.) takes a considerable amount of time providing criminals with a ‘window of opportunity’ to both complete their intended crime and get away without being apprehended. A fog generator provides an active (instant) and unique solution to this problem. In a matter of seconds from when an intruder is detected, such a device is capable of ejecting a huge plume of ultra-dense fog at 28 metres cubed per second, thus preventing the intruders from entering the area. The ejected fog deprives the intruders of their sense of sight and it makes it impossible for them to see their hand in front of their eyes! Whilst in some cases, where a siren is also installed, their sense of hearing can be deprived as well. This kind of sensory deprivation is possibly the most effective burglary deterrent system resulting in minimal loss or damage to property and assets. Furthermore, such fog is harmless to people, property and contents. Depending on the size of the room and the size of the breach, the fog can take up to 45 minutes to evaporate but leaves no residue and no sign once it has cleared. Free demonstrations are available. Please call 9940 7976. GlobeTech is a major supplier of fibreglass, aluminium and stainless steel flagpoles and fencing fibreglass. Our customers include the Government and local entities, industries, offices and private residences. We stock flagpoles for both indoor and outdoor use. For outdoor use, our Pultrusion Fibreglass Poles come complete with robust, high quality hinged bases that are perfect for easy installation. Fibreglass Single-Piece poles are lightweight, strong, maintenance-free and easy to handle. For indoor use, our aluminium and stainless steel poles can be supplied with a base or wall mount. Fencing in fibreglass is ideal to surround rooftops, water storage tanks, air-conditioning units and as fences in private home gardens and pool areas. We also stock pergolas for homes and hotels. We also have in stock video and/or audio systems for single, or multiple unit dwellings. Italtrade is a company created to satisfy the various needs of the Maltese market. It specialises exclusively in the distribution and installation of different Italian products, ensuring an excellent service with good value for money. Regarding doors, Italtrade is the official distributor of Bieffe Porte SRL, an Italian leader in the production of laminated and wooden doors, sliding glass doors, folding doors, main doors and security doors. Italtrade offers a complete catalog of interior and main doors which use materials of excellent quality, as well as design techniques and cutting-edge processing, with a wide range of mid-range and medium/high and several bus lines ready for delivery. Great is the variety of models to meet the needs of a wide range of clients, focusing on the design, as wellas a good value for money. Italtrade offers a fast service because we are able to deliver and install our doors in approximately three weeks, ensuring a good service even post-installation. The showroom we have here is in Ax Home, Mosta Road, Lija (opposite Kinds showroom), where we can show our doors and satisfy our customers. Kindly visit our website on Bieffe Porte for more information. Italtrade – we ensure delivery within three weeks. Strand Electronics Limited is here to protect your business or home and In today’s world it is almost impossible to protect your retail outlet, business or house/home without the help of an Observation or CCTV system and once again BOSCH has got the perfect partner for you. The EAZEO observation system is an ideal package for retail outlets and homes and it consists of a 14” colour monitor, digital recorder & four colour cameras but one can add on an additional four cameras thus having eight cameras in total. For the larger outlets and main office blocks BOSCH has an extensive variety of digital recorders and cameras to choose from, such as day/night, high resolution, infra red and AuotoDome cameras both for indoors and outdoors. Strand Electronics Limited is here to protect you and your home. Protecting yourself at home is becoming a big headache. It has almost become a must to know who is ringing the bell before opening the door. A video Hall Porter will solve this headache for you. The investment is small but the benefits are big. Protect yourself and your family phone us up and we will take care of your needs. Competition is one of the leading manufacturers of Intercoms & Hall Porters and the range is extensive both in b/w and colour. We provide you with security and comfort at your fingertips. We can install IP CCTV Cameras, Intercoms Alarms, Router Installations and Network Cables using the latest technologies. We also offer free onsite quotation. Universal Micro Security specializes in the importation and installation of security equipment. 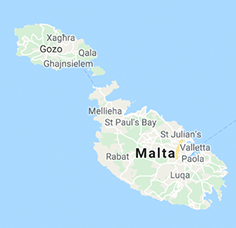 Established in Malta in early 2001, Universal Micro Security has steadily grown both in size as well as in the range of equipment and services it provides. Although the central office is based in Hamrun, its technical staff can conduct on-site estimates at the client’s request. This personal approach is the same approach that Universal Micro Security has always maintained, which, coupled with technical experience, reliable products and a hassle-free after-sales service has helped Universal Micro Security achieve the healthy clientele it has today. So whether you are an owner of a large company or a small shop, or you’re simply concerned about the safety of your family, Universal Micro Security has the solution for you. So give us a try and contact us for a no-obligation quotation. For more information about Universal Micro Security kindly click here while for tek+ kindly click here. We specialise in Hall Porters, in both audio and video systems. We also carry out installation sales and repairs on various brands, and installation in up to 50 apartments. Digital locks are now also available. Contact us by phone or email for a request. Intertek believes in offering top notch service. Our team consists of a highly qualified, dedicated and experienced people who make sure that any job is handled to the highest level. Our team is split into three distinct areas to make sure that we handle each project with a can do attitude and the maximum know how. These are: Technical Support – The role of the technical support team is to implement, support, maintain and administer our clients’ IT infrastructures on a day-to-day basis. Our technical support specialists involve themselves into IT projects at an early phase to ensure compliance and ultimate project success. Network Installations – This team of people is responsible for installation, layout and testing of structured cabling, ducting and fibre optic cable. Business Development – The business development team is responsible for developing and maintaining a synergistic partnership with new and existing clients. Our business development team provides consultancy services including project management, disaster prevention and recovery and network design. Intertek also represents leading brands in the ICT sector, to make sure that whatever solution we offer is the right solution for you.